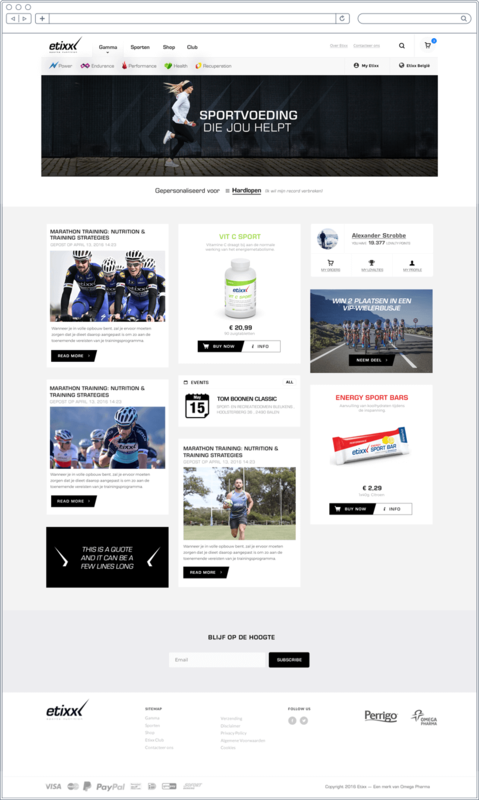 Creating a custom tailored sports nutrition community. 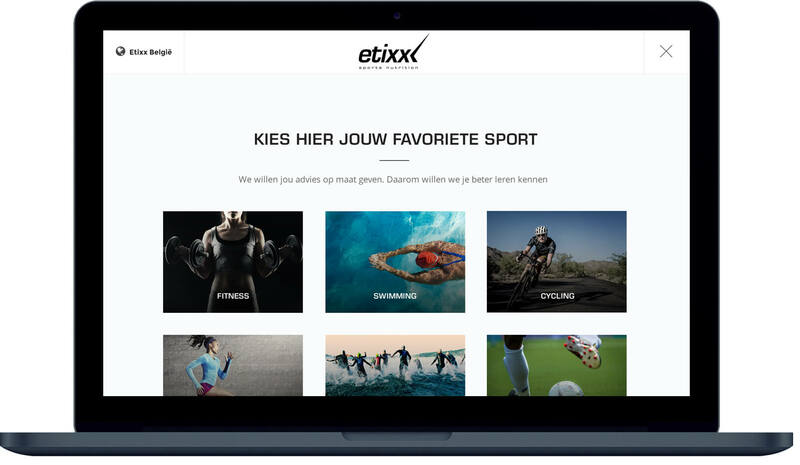 For Etixx Sports Nutrition, Omakase created a complex international powerhouse with integrated e-commerce and fulfillment, branding, product sheets, loyalty program tools and much more. We also created their refined logo, tagline "give it your all", packaging and more. Content was being served based on the current persona. The platform was discontinued after the merger with Perrigo.